This post by HeadRoom managing partner John Tooher originally appeared at OwnersMagazine.com Virtual Office Spaces, Co-working Spaces and Shared Office Space are the place to be for startups and budding entrepreneurs. Increasingly however, more established companies and professional service providers are viewing this type of space as part of their business needs. Whether it is as…. PowerMatch helps business owners get focused and effective with their networking and business relationship building. Our clients tell us the types of people they want to meet and network with and we match them up and schedule them to meet over coffee so they can figure out how to help each other! Simply, it’s like eHarmony.com but…. Is your smartphone buzzing in your pocket? Are you checking your email while in line at the post office? It is evident now more than ever before that the traditional office space for small businesses may soon go the way of rotary phones. The end of the office? John Boitnott explores this idea in an…. “Either location is collaborative and has a high energy vibe that enables me to get work done and grow my business.” …. 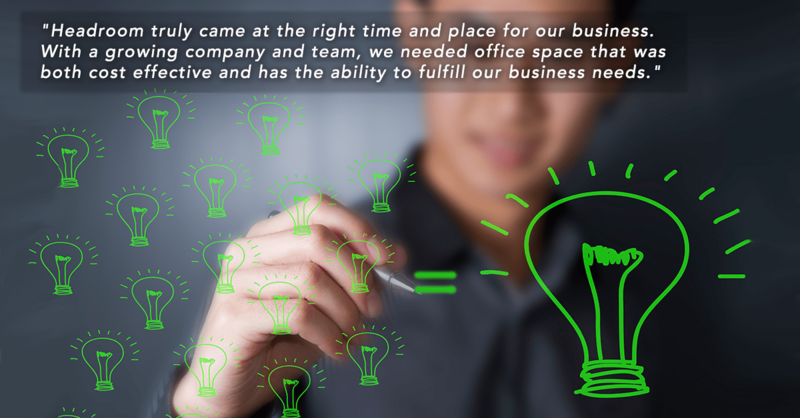 “I would be remiss if I did not also mention that I hired HeadRoom Strategy Services a year ago to assist me with business planning. These decisions and hard work have enabled my business revenues and networks to grow exponentially.” ~Cynthia Sutera, Partner…. “Headroom has been a major part of my workflow for both networking opportunities as well as getting work done…” ~Joe Monzo, Founder Monzo Media Productions At Monzo Media Productions our purpose is to increase brand awareness, marketing, and sales through the power of video. Utilizing our cinematic approach to business films,…. “HeadRoom truly came at the right time and place for our business…” JAMIS leads small and emerging companies to their next level of success by impacting their three most critical needs — raising capital, marketing excellence, and achieving sales success. As experts in the field of crowdfunding, JAMIS helps our clients navigate the waters….